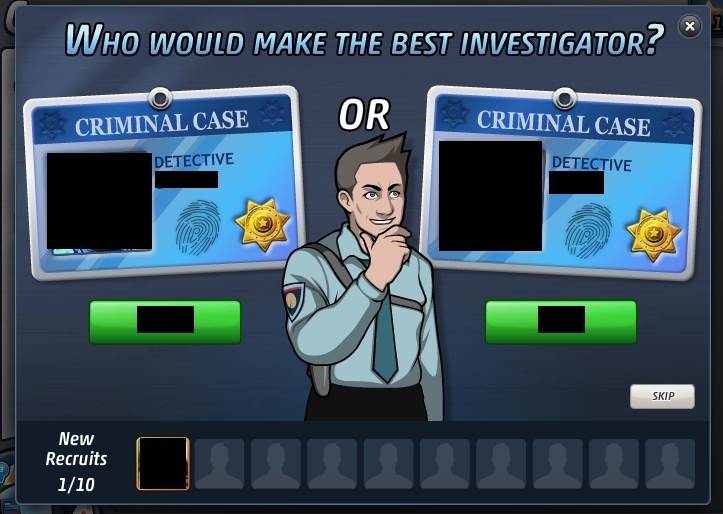 Who Would Make The Best Investigator? It brings up a pair of Facebook friends and asks you to pick one, then it puts it in the “New Recruits” box. Once you fill all ten, it asks you about sending the invitation requests to them, then says that they’ll join you soon! Of course, you can press the “skip” button, which cuts it out, but still. This is a really clever thing to do! Most games just ask you to check off all of your friends in a gigantic list, but this turns it into an interesting game. What it’s really asking you “Who would probably be more into this game?” and shows you their pictures. Instead of a simple yes/no, it’s asking you to make a comparison and pick an answer. This is an acquisition mechanic that’s actually kind of fun! I obviously don’t have the numbers to back it up, but my guess is that this method has a pretty sharp jump in invitations. The only thing I’m a little iffy about is that it asks you to select ten recruits at a time. A player might lose interest before completing it, and they might end up sending invitations to no one instead of the entire batch of ten. Still, this is probably the kind of thing they’re still gathering data on. I’ve been playing for a fair amount, and I only just saw this pop up today. Games try to be fun. Games also need to monetize. Do these two needs have to be at odds? Can monetization be fun? Monetization isn’t something people usually think of as fun. At best, it’s like filling up the gas tank: An exchange of money for relief. At worst, it’s like extortion: Nice village you got there. It’d be a shame if something happened to it. I thought for a while and rewatched the Extra Credits video on the harm that bad monetization mechanics does to the free to play industry. I rewatched it a few times, actually. The video was primarily about how to create monetization that at the very least, does no harm, but they did mention a positive example of monetization: An unnamed Korean MMO with a money bomb item. Players could throw it down, and it would explode into loot piles that everyone but the purchasing player could pick up. This led to money bomb parties and a lot of social attention. I’d write more on that, but I haven’t played the game in question, and searching for that game proved fruitless. That’s when I realized that even if I didn’t know that game, I already knew a game with a similar fun monetization mechanic: Team Fortress 2. You didn’t think this blog was entirely going to be about casual games and self promotion, did you? A bit of background (Skip this paragraph if you already play TF2 and know what MvM means): Team Fortress 2 is a team-based first person shooter that was originally sold for money, but is now a free to play game. 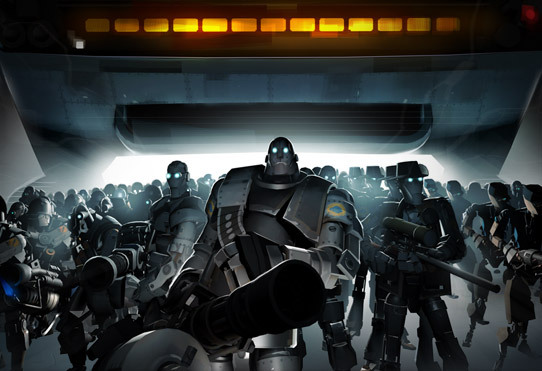 On August 15, 2012, the game debuted Mann vs Machine, a brand new game mode where a team of six players takes on wave after wave of AI-controlled robots. This mode is playable for free. 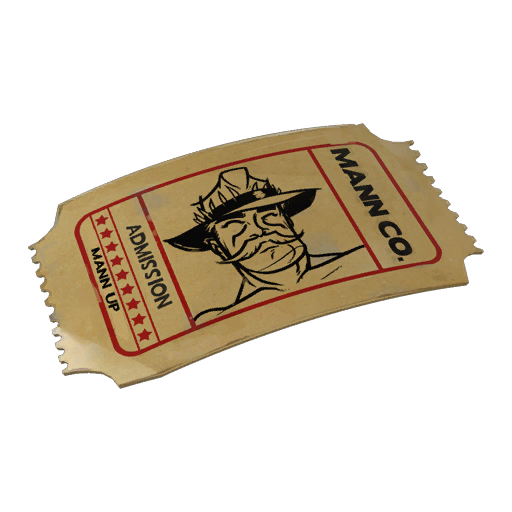 However, players may also purchase Tour of Duty Tickets for $1, which allow them to play MvM in Mann Up Mode. In Mann Up Mode, players play on official servers and can earn cosmetic items. A ticket is required to play, but it is not consumed until you successfully beat the mode. The Tour of Duty Tickets are nice, but this article is about a different item: Squad Surplus Vouchers. These cost $2, and you can choose to activate them when you join an MvM game in Mann Up mode. If you fail, you can keep the voucher and nothing else happens. If you win, the ticket is consumed and every player in the match gets a random item drop. Random items in Team Fortress 2 are normally rationed out; you only get so many drops in a week before item drops are reset, so the voucher is a method of breaking this rule. Because the Squad Surplus Voucher benefits the entire team, it has significant social value. A player who joins in the middle of a match may be considered a lesser team member because they have contributed less toward victory, but they might activate a voucher as a peace offering and enhance the reward if the team wins. It can also be used as a negotiation chip: A skilled player may be uninterested in replaying a particular MvM map, but the promise of Squad Surplus Vouchers might convince them to change their mind. The most exciting use of the voucher, however, is the “Full Voucher Run”, when everyone on the team decides to play the mode and activate Squad Surplus Vouchers. Every player involved will gain six items upon successful completion, an entire week’s worth of loot! When someone in a group chat announces full voucher run, Mann versus Machine transforms from a game mode into an event. Players get excited and buy vouchers so they can join in the fun. All the players are excited and motivated to push through to the end, and upon successful completion, the players get their goodies, and Valve removes $18 worth of consumables from the game economy: Six vouchers worth $2 each and six Tour of Duty tickets worth $1 each. Even ignoring the considerable revenue, let’s look at the player experience. When a player buys a Squad Surplus Voucher, they aren’t spending money on an item drop. The personal material benefit of the voucher is marginal at best. What a player is buying is the expectation of an enjoyable future experience. The player is buying a social bargaining chip. The player is buying anticipation. 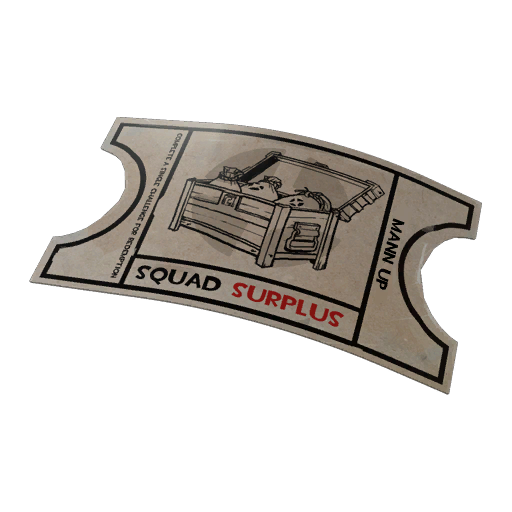 That’s what makes the Squad Surplus Voucher a fun monetization item. With any other item purchase in the game, a player is spending money on weapons for tactical flexibility or cosmetic items to customize their avatar, but the voucher is the purchase of an experience and social gratitude. In the context of a mode like Mann versus Machine, where tightly-knit teamwork is more important than ever, it helps to drive home the feeling of camaraderie. You are a team, working together, and someone just brought something awesome to the table. The lessons learned from the Squad Surplus Voucher can apply easily to any game that has a play context where players are able to work together. It takes full advantage of human social behaviors. In the context of a single player experience, or a multiplayer experience where players are only comparing or competing with one another instead of cooperating, I admit the lessons are less directly applicable, but it does prove one thing: There is a monetization method that players think is fun! There are people who disagree with the $2 price point, but nobody wishes the voucher weren’t in the game. If one fun monetization technique exists, there must surely be others out there just waiting to be designed. PS: You have no idea how hard it was to talk about TF2 and monetization and avoid mentioning the word “hat” outside of this sentence.